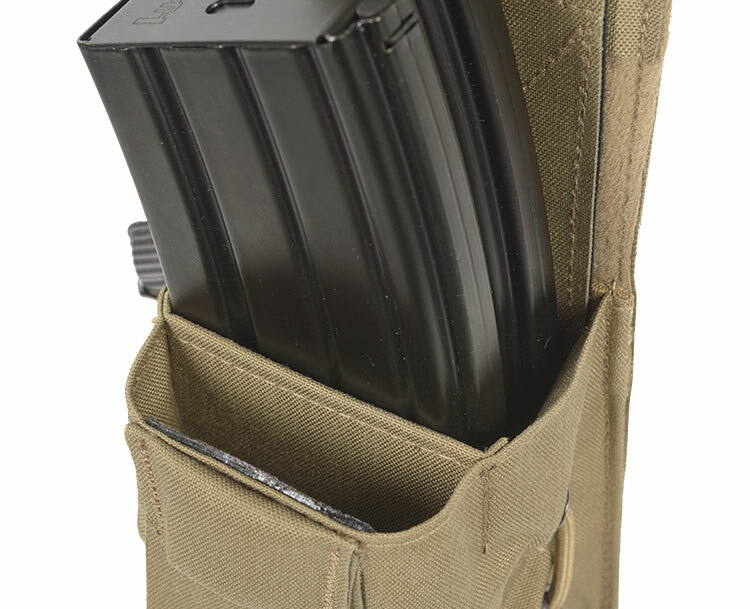 Intended for transportation and fast reload of three Assault Rifle magazines. Adjustable/removable full lid with Swift lock. 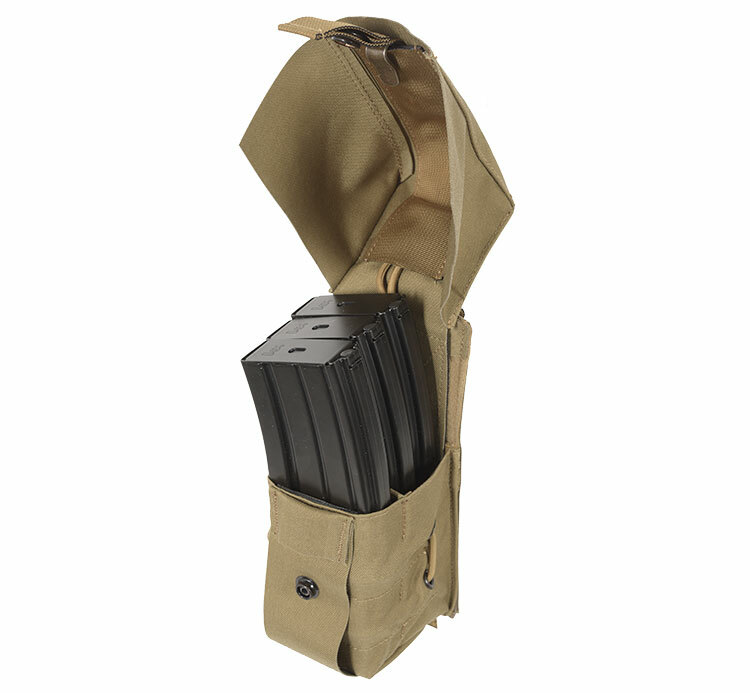 Primary magazine lodged in a separate compartment enabling a quick location and draw. 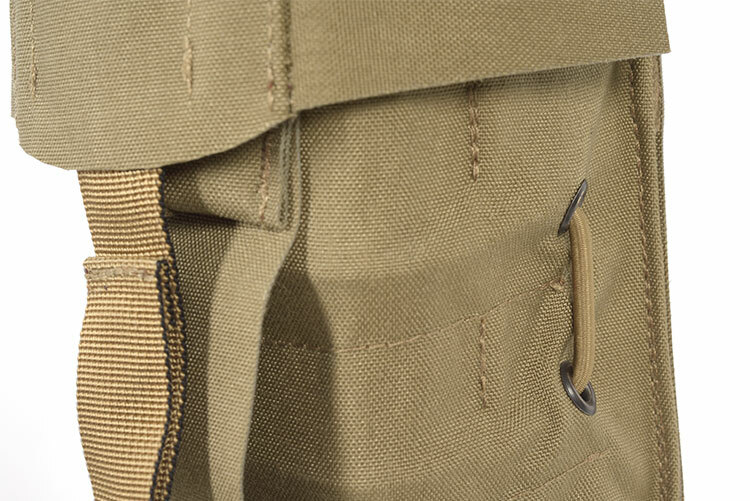 Second and third magazines are lodged together and remain stable when the first magazine is removed, last magazine (closest to the body) is secured by an elastic webbing in order to remain stable when the first and the second magazines are removed. Entire pouch can be compressed by pulling the shock cord on the side of the pouch in order to stabilize the content. 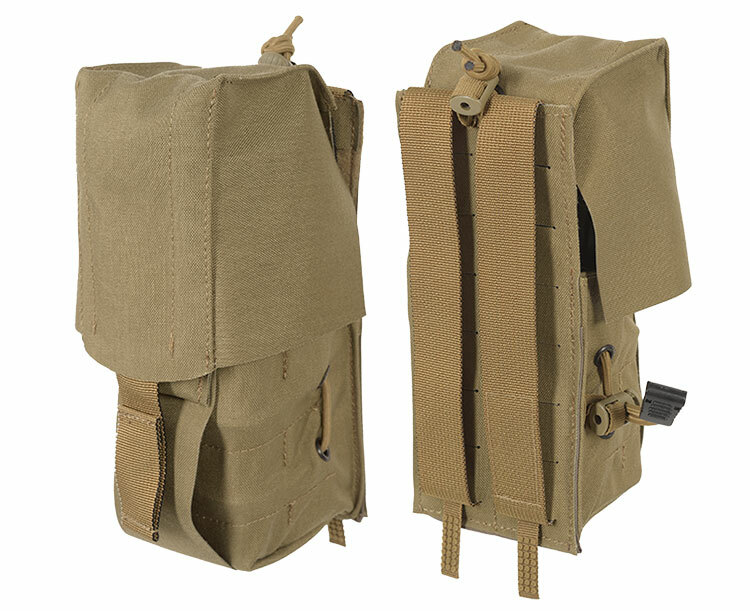 The ALPHA Slot Attachment Interface permits increased stability onto any PALS/MOLLE interface.